Winters steel drive yokes for use with their quick change rear ends. 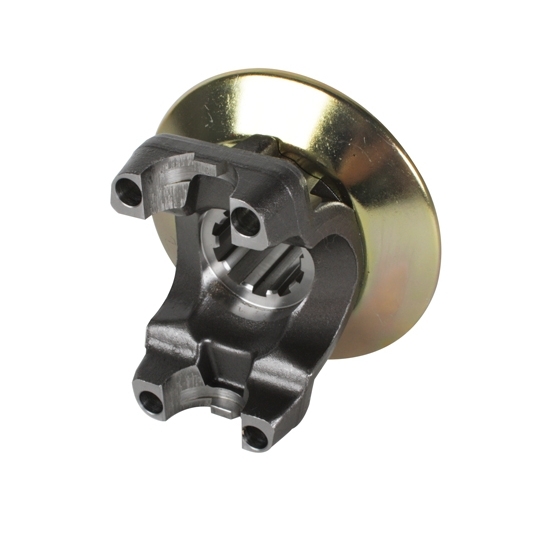 Overall length from the rear of the flange to the rear of the coupler is 3.001". Speedway Motors employee Pat talks about how to measure your drive yoke for the proper universal joint. Tim talks about our Ford banjo rear end open drive conversion kit. In this tech article, we show you how to measure the working angles on your drive shaft to ensure long life out of your U-joints. Maintain your torque tubes with this quick tip for Speedway Motors.